Knautbolds are small fairies which live in the woods of Eastern Europe as well as the tundras of Northern Europe. They are very hard to find, especially after a big tragedy that occured centuries ago which involved a horde of foraging Phrans, the dark dream fairies. 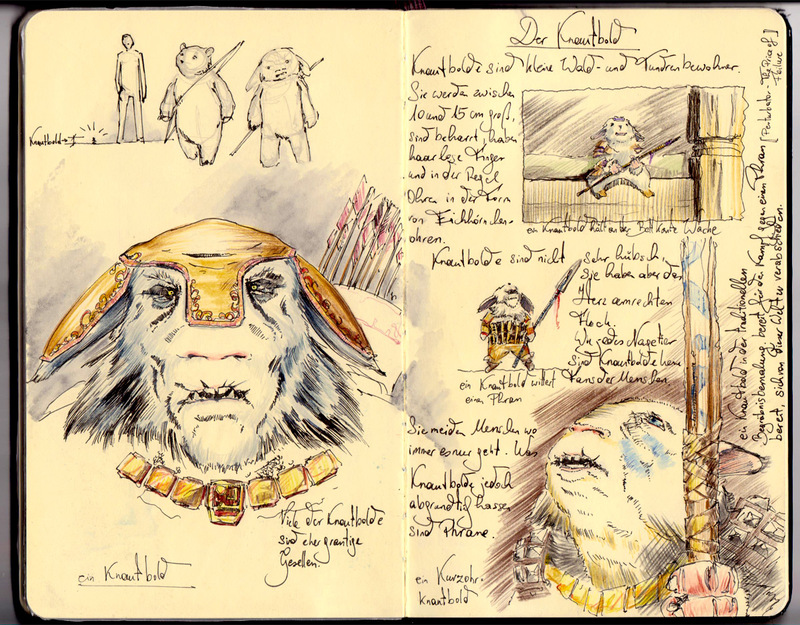 Below is a picture of a Knautbold out of one of my sketchbooks. It´s not very easy to nail them down (illustration wise), because they do not like the company of humans… and they are extremely fast! I will post more about them in a later post. I´m sure you bribed them somehow. Really pretty drawings John. Reminds me of an animation I once watched called Watership Down (1978). yes, I remember Watership Down. I saw it as a kid and I remember that I loved the drawings and I remember that I was confused, because they did not behave like the Disney rabbits I had seen before :))) An all time classic!